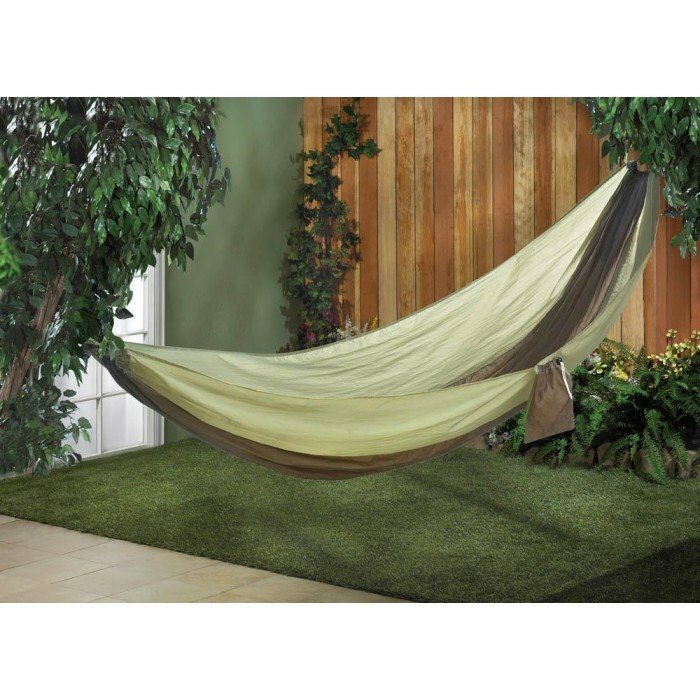 PARACHUTE TRAVEL CAMPING HAMMOCK home decor, jewelry, decor, decorations, electronics, fountains, floor mats, art glass, vases, garden essentials, fireplace screens. Explorers need rest, too! This cool hammock is made from parachute material and is the perfect spot to take a break on your next camping or hiking adventure. It folds up easy for travel. Extra rope and Carabiner clips included. Maximum weight limit: 350 lbs. Material(s): NYLON STEEL. Weight 0.99 pounds. Dimensions 108" x 53.5" x 0".